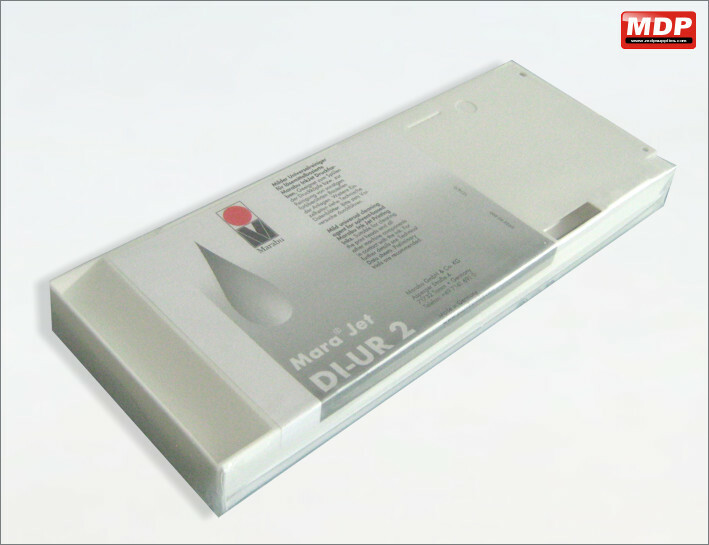 Digital ink manufactured by Marabu. If you are currently using original Mimaki inks, MaraJet can be installed directly afterwards without the need for cleaning/flushing solution*, and there is no need to reprofile your machine. **JV33 printers with ES3 (EcoSolMax3) configurations require a special product, please contact customer services for details. Price for 1 - 2 £51.25 ea. Price for 3 - 4 £50.25 ea. Price for 5+ £49.25 ea. Mild universal cleaning cartridge for solvent based inks. 220ml. Price for 1 - 2 £49.95 ea. Price for 3 - 4 £49.49 ea. Price for 5+ £48.95 ea.